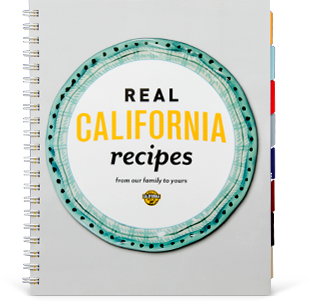 Here are some ideas for assembling a traditional cheese course using Real California cows milk cheeses. Select three to five cheeses of varying flavors and textures. Many prefer three because it doesnt challenge the palate with too many flavors yet provides good variety and contrast. 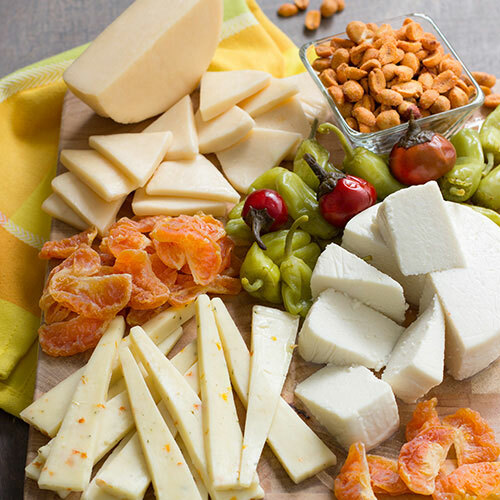 When selecting cheeses, create a range of flavors and textures from soft to hard and milk to sharp, event pungent varieties. 	A bloomy rind cheese such as Brie, Camembert or Formagella. 	A soft or washed-rind cheese such as Teleme or Crescenza. 	A semi-firm hard cheese such as Manchego, Gouda, St. George or Mezzo Secco. 	A very hard aged cheese such as Dry Jack, Aged Gouda or Estero Gold. 	A highly flavorful or pungent cheese such as Blue or Schloss.